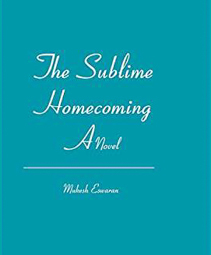 A chapter from the novel by Mukesh Eswaran has just been posted to the main site. The life of Michael Pearson, an American scientist, falls apart when his wife accidentally dies. His search for a way to deal with his grief, which takes him to India and back, leads him to spirituality. Since he firmly accepts Darwin’s theory of evolution, he is skeptical of the validity of the claims of spirituality. But Socratic dialogues with an enigmatic man in India called Swami and his subsequent life-experiences compel him to gradually rethink his position. The novel traces Michael’s arduous odyssey to self-discovery in a secular life, ending in a crisis that decidedly resolves his doubts about the compatibility of spirituality with evolution. This novel clearly illustrates how everything in life—from the mundane to the sublime—can be approached in the light of nonduality or Advaita. And if one wants to understand how and why spirituality is completely consistent with the theory of evolution, this novel is worth reading. Mukesh Eswaran is deeply interested in spirituality, especially Advaita. He is an academic by profession and teaches at a university. He lives in Vancouver, Canada.